This photo was taken in 1939. That's a 51 International cutting the crop. 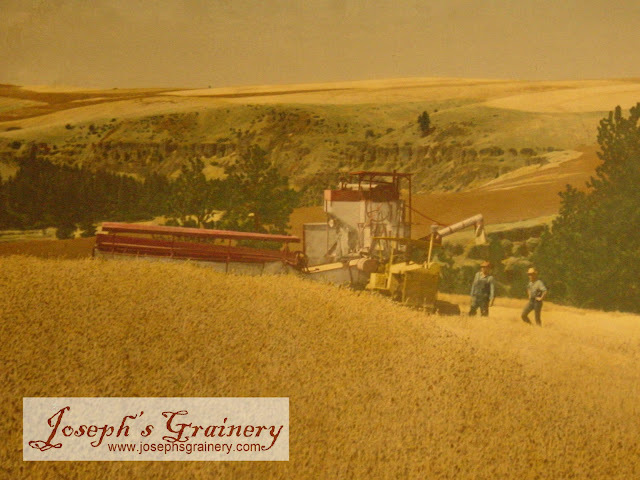 My Great Grandmother hand tinted the photo back in the day...you may recognize this shot, as it's part of our logo. This photo was taken at the same spot just a couple of days ago. That's an 8120 Case IH Combine. My Grandpa is in the gray shirt and Darrel is in the blue. 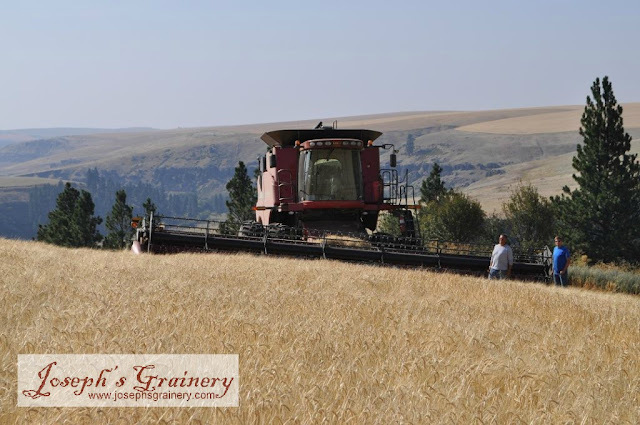 Darrel's the lucky guy who gets to drive this mammoth machine on a daily basis during harvest. This combine has an operator's manual the size of a college textbook. Things have come a long ways, haven't they?